 Through our property selling services offered in the area and across the West Midlands, Love Your Postcode has earned a strong reputation in the local market, becoming one of the most in demand estate agents in West Bromwich. West Bromwich is a town in the borough of Sandwell, West Midlands. Historically part of Staffordshire, it is 6.4 miles northwest of Birmingham. What’s the average house price in West Bromwich? The majority of sales in West Bromwich during the last year were semi-detached properties, selling for an average price of £155,625. Terraced properties sold for an average of £140,734, with detached properties fetching £222,560. West Bromwich, with an overall average price of £149,819, was similar in terms of sold prices to nearby Tividale (£153,715), but was more expensive than Wednesbury (£137,527) and cheaper than Oldbury (£158,000). Overall sold prices in West Bromwich over the last year were 6% up on the previous year and 13% up on the 2015 level of £132,663, says Rightmove. The average price for property in West Bromwich stood at £161,184 in November 2018. This is a fall of 0.68% in the last three months (since August 2018) and rise of 0.39% since 12 months ago. In terms of property types, flats in West Bromwich sold for an average of £99,110 and terraced houses for £142,587. This is according to the current Zoopla estimates.